We understand the needs and trade craft to being a successful bow hunter, we are all archers and love the sport. We specialize in spot and stalk type hunting but are versatile and accommodating and can customize the hunt to meet the needs of the client. For information regarding specific hunts, hunting application, licenses and tags, please refer to the Arizona Game & Fish Departments website. Junior Hunts – At Let’er Rip, we believe your youngsters are our future. We want to offer the junior hunters the same type of experience at a lower price by taking of a percentage from all hunts and for the “extra person”. Mule Deer This is a 5 day hunt and offered for the months of August, September, December & January of the following year with the purchase of a new tag & license. If after the 5th day you wish to stay longer, we offer that for an additional $500.00 per day. Coues Whitetail This is a 5 day hunt and offered for the months of August, September, December & January of the following year with the purchase of a new tag & license. If after the 5th day you wish to stay longer, we offer that for an additional $500.00 per day. Javelina/Deer Combo This is a 5 day hunt and offered for the month of January. Again extra days can be added for an additional charge of $500.00 per day. Black Bear This is a 5 day hunt and offered for the fall or spring. Deer can be included if you have a tag at no additional charge. Antelope This is a 5 day hunt which can be extended on a daily basis at $500.00 per additional day. Bull Elk This is a 7 day hunt and done on a “draw” basis through Arizona Game & Fish. You will have a deadline for application submission. Cow Elk This is a 7 day hunt and done on a “draw” basis as well through Arizona Game & Fish. You will also have a deadline for application submission. Javelina This is done on a daily basis. You can do the Javelina/Deer combo we have listed above or simply do a daily Javelina hunt. Turkey This is offered on a daily basis rate, with a three day minimum please. Bighorn Sheep This is a 10 day hunt for Rocky or Desert Bighorn Sheep during the month of December. We are committed to filling your once in a lifetime tag so additional days are available for $500.00 per day. Please call for additional info/pricing and scheduling. Coues Whitetail This is a 5 day hunt for October & November. You can stay with us longer for an additional $500.00 per day. Coues Whitetail Late December Trophy Hunt This is a 5 day hunt full of an adrenaline rush, we are offering this exciting hunt to you for $3,500 With the option for additional days as well at $500.00 per day. Mule Deer This is a 5 day hunt for October & November, with the option to stay additional days for $500 each day. Bull Elk Is a 7 day hunt conducted strictly by the “draw” process through Arizona Game & Fish. Cow Elk Is a 7 day hunt also conducted strictly by the “draw” process through Arizona Game & Fish. Black Bear This is strictly a 5 day hunt, additional day’s are unfortunately not an option. Predator’s Only offered on a daily basis, low demand. Bird’s What a fun sport, unfortunately this is only offered on a 3 day minimum basis. The Mule Deer:(Odocoileus hemionus) is a deer indigenous to western North America; it is named for its ears, which are large like those of a mule. The West’s most iconic big game species is probably the most fun animal to spot and stalk especially here in the Sonora desert during the rut. Coues Deer:“The Grey Ghost” as it is often referred to is known for being able to vanish from view in the smallest amount of cover. Many people consider Coues deer to be one of the most challenging big game animal to hunt. Some even refer to hunting Coues deer as the “poor man’s sheep hunt” because of the harsh terrain involved. Many hunters have exclaimed that the Coues deer to be “the most difficult of all deer to kill” due to its extreme wariness and the inhospitable habitat they live in. Javelina: The collared peccary, or javelina, evolved in South America and migrated north, only recently arriving in Arizona. Javelina bones are not found in Arizona archaeological sites and early settlers made infrequent references to their occurrence. Javelina are herd animals with herd sizes averaging 8 to 9 animals. Territories are set up using droppings and the dorsal scent gland to mark these areas. Aggressive displays will be made to intruding javelina. Territory size varies with the productivity of the habitat, but averages about 750 acres. These animals are great to spot and stalk far more intense then hunting feral hogs and can be equally good to eat given good field care and proper preparation. Black Bear:In Arizona, the black bear is found in most woodland habitats, including pinyon-juniper, oak woodland, coniferous forest, and chaparral. Bears can be hunted a number of different ways: spot and stalk, Predator calling for bears, and interception or stand hunting over water. Any way you hunt them its a good hunt..
Elk:Elk were at one time the most widely distributed member of the deer family in North America and Arizona is home to 45,000 of genetically superior elk. No other destination in the country yields consistent big bulls, well managed hunts and a “true rut”, every hunter should experience drawing down on a big screaming bull..Let us call you in the bull of a lifetime. Merriam’s turkey are found throughout the Western United States primarily in the ponderosa pine forests of Colorado, New Mexico, and northern Arizona. They have been transplanted into the pine forests of Utah, Idaho, Washington, Oregon, California, Montana, Wyoming, and South Dakota. Gould’s turkey are only found in Arizona, New Mexico, and northern Mexico. In Arizona, wild turkeys can be found not only in ponderosa pine forest but also other vegetation types in elevations ranging from 3,500 to 10,000 feet. The best populations of Merriam’s, however, occur in the ponderosa pine forests north of the Gila River. The Gould’s occupy the sky island habitats in southeastern Arizona. Gould’s turkeys are one of Arizona’s two native wild turkey species. They are slightly larger than Merriam’s turkey. Gould’s turkey were once found throughout southern Arizona. Gould’s were an important food source for those who settled and worked in the rugged lands of southern Arizona years ago. Between the Civil War and World War I, miners working in southern Arizona harvested Gould’s for many of their meals. By the time Arizona had legal hunting seasons in 1929, Gould’s Turkey had already disappeared from the scene. Gould’s now occupy only a few remote mountain ranges in Arizona. However, these birds are making comeback tracks in the Huachucas and other mountain ranges in southern Arizona. Bighorn Sheep (Rocky or Desert) is a once in a lifetime tag in Arizona. You will literally never draw this tag again! Let us help you fulfill your dream tag and find that ram of a lifetime. Sheep are found throughout Arizona and are truly an amazing animal. Please keep in mind, we are always willing to do group discounts, please contact us for details. If you prefer a 2 on 1 with a partner of your choice, please contact us for additional pricing information. If you would like to bring an extra person along to film your hunting experience or to take memorable pictures etc. an additional cost will be assessed to all fully guided big game hunts. 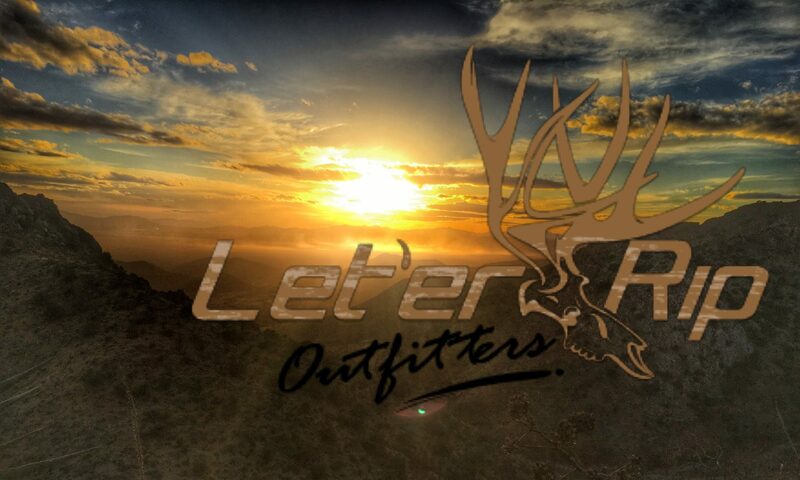 $500 per person for the duration of the hunt, which will include all the amenities of the outfitting experience.